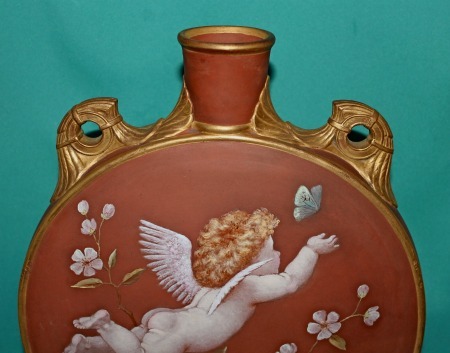 A Large Minton moon flask* c. 1873, with gilded and pierced "Egyptian Revival" handles and feather pattern on neck, finely painted with a cherub, flowers and butterflies, against a terracotta ground. 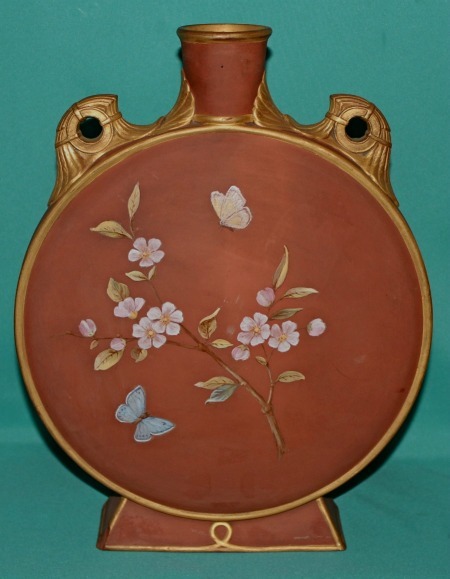 Dimensions: 34 cm high x 27 cm. 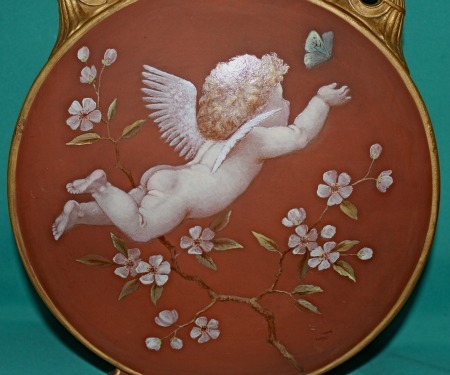 Marks: painted artist's mongram: E.J.S. 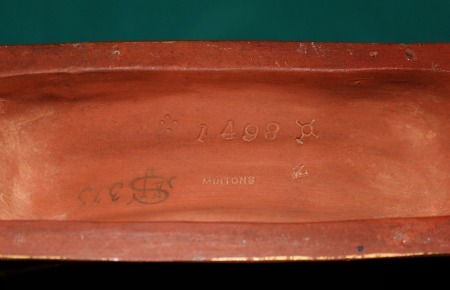 373(possibly by Eliza Jameson Strutt), impressed: "Mintons",1498 (shape) and cypher for 1873. 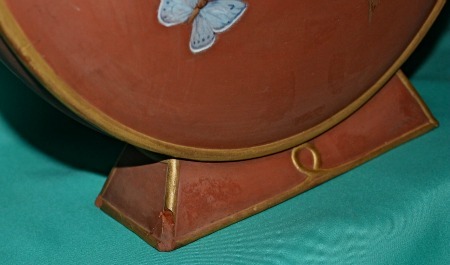 Condition: two small chips near the base. 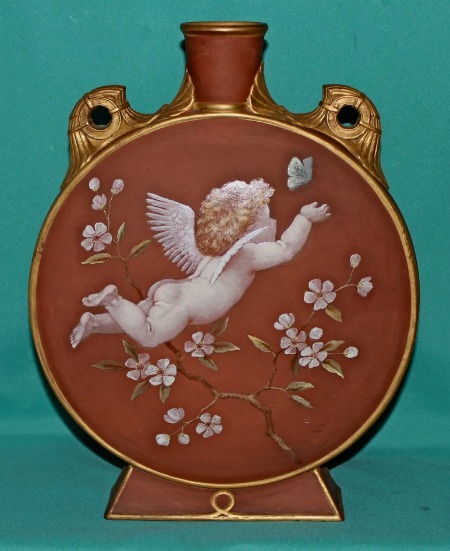 *This ornamental 'pilgrim flask' shape was designed by William Stephen Coleman, the director of Minton's Art Pottery Studio in London. 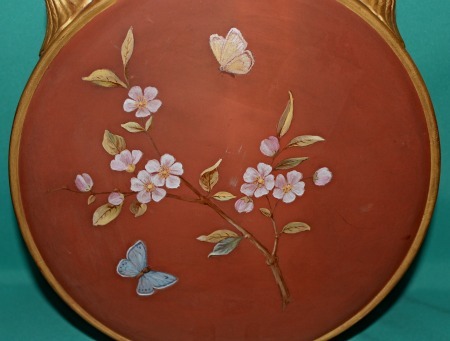 It was produced in a variety of different decorative patterns.